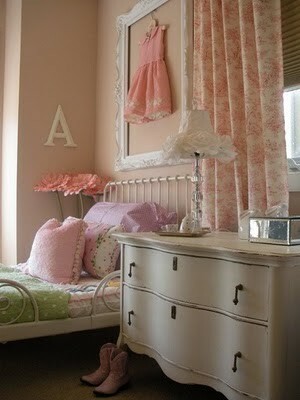 I would have absolutely adored this room when I was younger. In fact, when I was little I got to choose the colours for my room and what did I pick? Baby blue and dusty pink - complete with bouffy curtains fit for a princess.